While celebrity chef Bobby Flay plans to open a new seafood eatery in Las Vegas, Nevada, U.S.A., Rick Moonen recently closed two seafood restaurants in the same city. 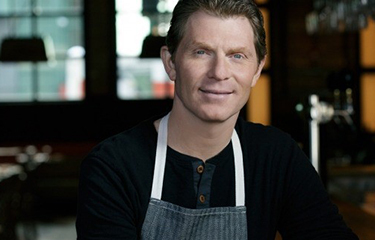 Flay plans to open Shark, his first new restaurant in five years, at the Palms Casino Resort in March 2019, according to Eater Las Vegas. Shark will serve sushi, sashimi, ceviches, and “bold preparations of fish and seafood” with flavors from South America, Mexico, and the Mediterranean, according to Palms. Meanwhile, Moonen, who discussed sustainability and the growing canned seafood trend at Seafood Expo North America in 2017, closed both of his Las Vegas seafood restaurants. Moonen, owner of RM Seafood and a longtime sustainable seafood advocate (including serving as a spokesperson for True North farmed salmon), closed RM Seafood Rx Boiler Room at The Shoppes at Mandalay Palace in Las Vegas. According to the Las Vegas Review-Journal, he could not come to terms on his lease. However, Moonen has multiple concepts in development, including a possible restaurant off the Las Vegas Strip. “Thank you for embracing and supporting me for 15 years Las Vegas. Stay Tuned…” Moonen said on his website. Moonen also plans to continue promoting sustainable seafood as a member of the Blue Ribbon Task Force through the Monterey Bay Aquarium, the Las Vegas Review-Journal reported.